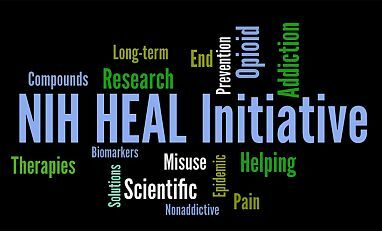 In 2017, there were 144 overdose deaths­­­ involving opioids in Kansas—a rate of 5.1 deaths per 100,000 persons which is about 1/3 the national rate of 14.6 deaths per 100,000 persons. The greatest change in the number of opioid-involved deaths occurred among cases related to prescription opioids. Deaths decreased from 122 in 2014 to 89 in 2017. 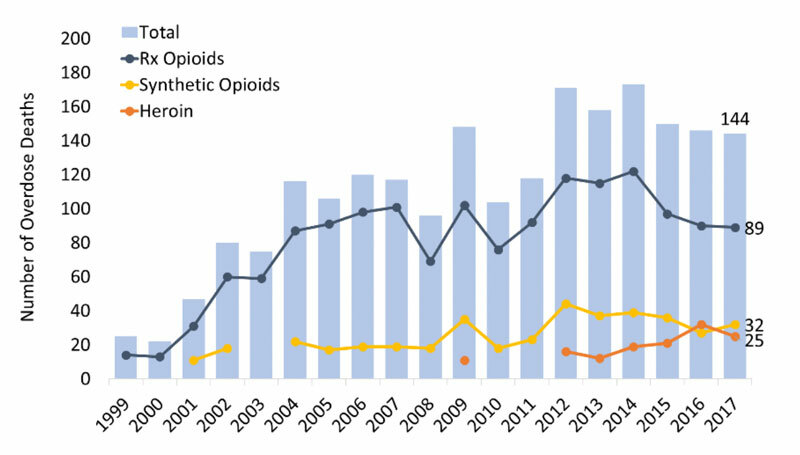 Drug overdose deaths involving heroin or synthetic opioids (mainly fentanyl) did not change overall during the same three-year period (Figure 1). Figure 1. Number of overdose deaths involving opioids in Kansas, by opioid category. Source: CDC WONDER. In 2017, Kansas providers wrote 69.8 opioid prescriptions for every 100 persons (Figure 2) compared to the average U.S. rate of 58.7 prescriptions for every 100 persons (CDC). 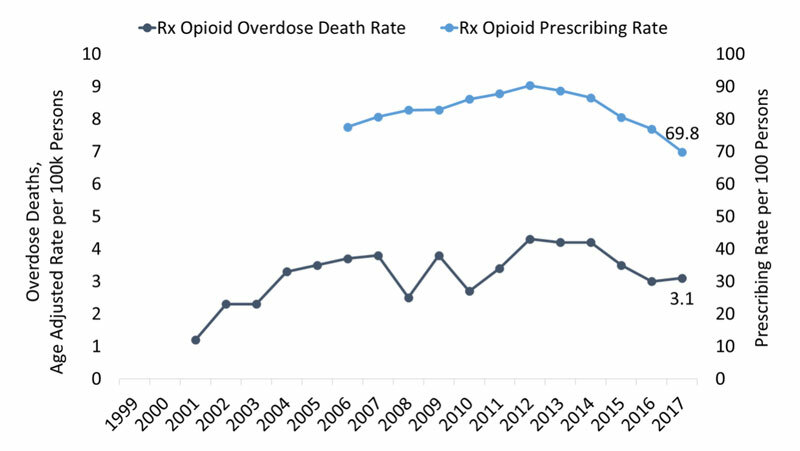 This represents a 20% decrease from the 88 opioid prescriptions per 100 persons in 2011.The rate of opioid involved overdose deaths has not changed overall since 2004 (Figure 2). Figure 2. Kansas age-adjusted rate of overdose deaths involving prescriptions opioids and the opioid prescribing rate. Source: CDC and CDC WONDER. 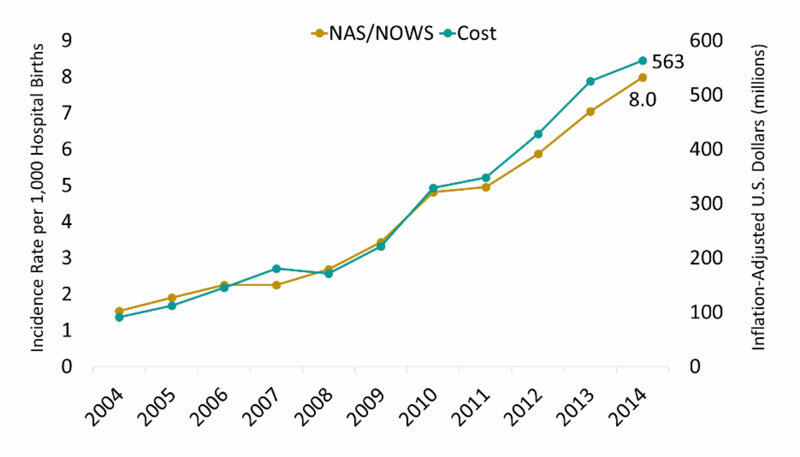 Recent rates of NAS/NOWS in Kansas are unavailable. Figure 4. Georgia: Estimated percent of male vs. female with new HIV diagnoses, by transmission category, 2016. Source: CDC and www.AIDSVU.org. State Incidence: Of the new HIV cases in 2016, 141 occurred in Kansas. Among males, 16.6 percent of new HIV cases were attributed to IDU or male-to-male contact and IDU. 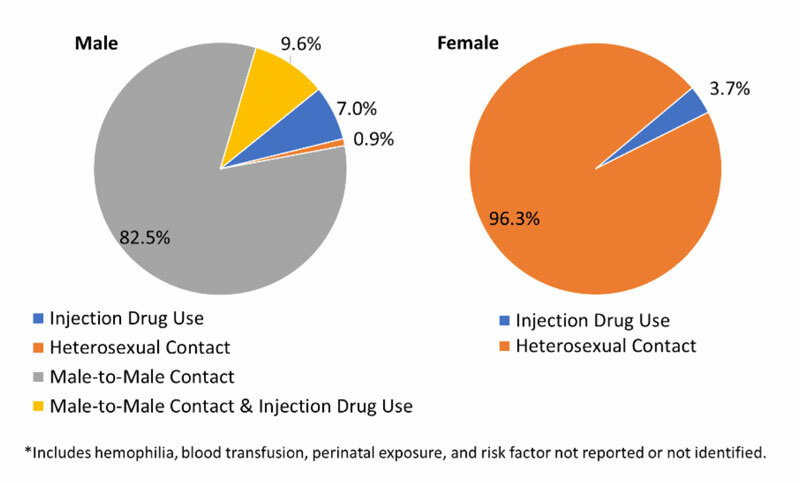 Among females, 3.7 percent of new HIV cases were attributed to IDU (Figure 4) (AIDSVu). State Prevalence: In 2015, an estimated 2,830 persons were living with a diagnosed HIV infection in Kansas—a rate of 118 cases per 100,000 persons. Of those, 17.5 percent of male cases were attributed to IDU or male-to-male contact and IDU. Among females, 17.6 percent were living with HIV attributed to IDU (AIDSVu). State Incidence: There were approximately 15 new cases of acute HCV (0.5 per 100,000 persons) reported in Kansas in 2016 (CDC). State Prevalence: In Kansas, there are an estimated 14,800 persons living with Hepatitis C (2013-2016 annual average), a rate of 680 cases per 100,000 persons (HepVu).